Nic Cowper is an artist and art teacher working in and around Emsworth. 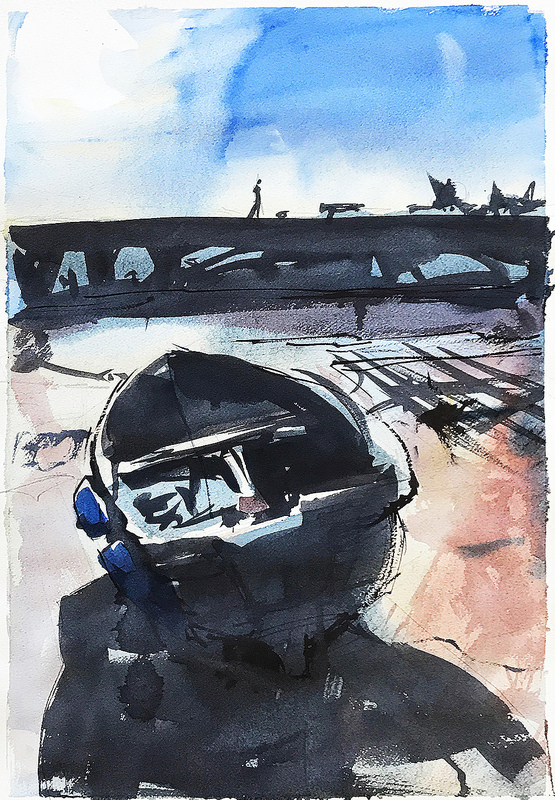 His watercolours feature the sea, shore and countryside close by. Style is gutsy and heartfelt, attempting to capture the spirit of the scene, not the detail.